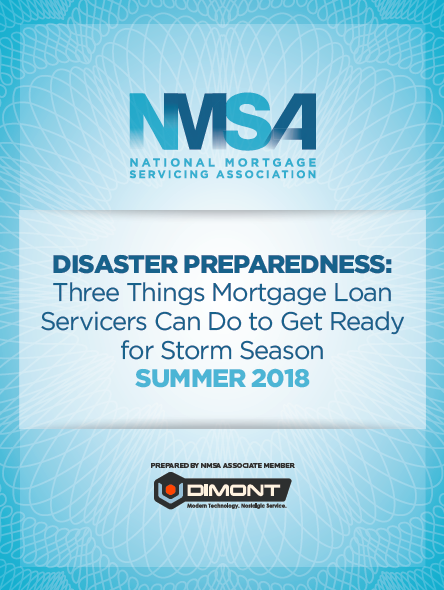 2017 was a catastrophic year for storms, wildfires, and other natural disasters, leaving many mortgage servicers unprepared for the resulting high volume of damage claims, coverage questions, and customer service issues. In the first nine months of 2017, it was estimated that the direct insured property losses from catastrophes striking the United States were between $36 billion and $40 billion. Today, of the 90 million residential structures in the United States, approximately 10% are in special flood hazard areas, yet only about half of those structures carry flood insurance. Navigating the complex insurance claims process. This Paper is designed to inform Servicers on sound insurance practices to help mitigate collateral losses.